We produced 47gms of landfill, there was quite a bit of it- I had to use a bigger bowl! There were our usual envelope windows, produce stickers and pill packets. Christmas produced some larger bits of soft plastic that cannot be recycled and the rest was literally chocolate wrappers… whoops! As I mentioned in my camping post, we collected all of our compost scraps to take home and I did the same on Christmas day when there was no compost bin. We have a large compost bin and a worm farm at home, I’ve had the compost bin since I was 15 and the BF got the worm farm as a 21st birthday present. 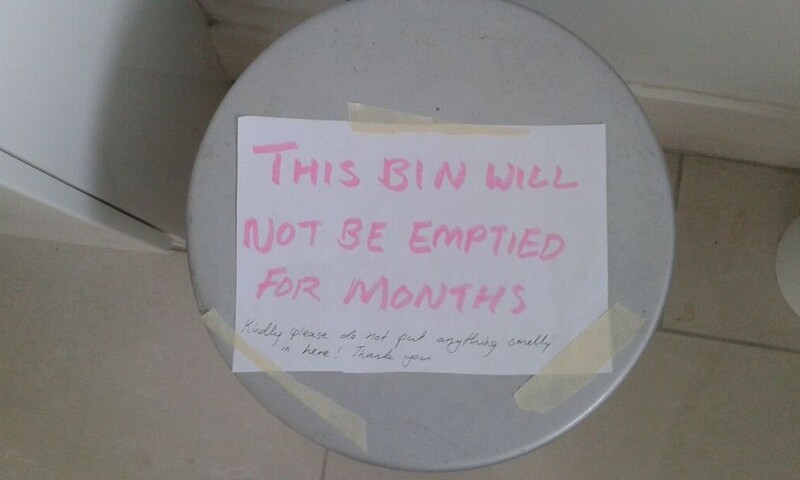 For this year I have put a sign on our bin and am planning to do an audit when the bin is full, I’m hoping this will be at least June. So far we haven’t created too much trash, but I am having a declutter so that might find a few things I cannot donate or recycle, as well as items I already had and am slowly using up. When we have guests over I will direct them to the kitchen bin which the rest of our household uses, and will set up a small bin for the females who have not yet cottoned on to using a cup! Let me know how you got on with avoiding rubbish during the chaos that is Christmas! 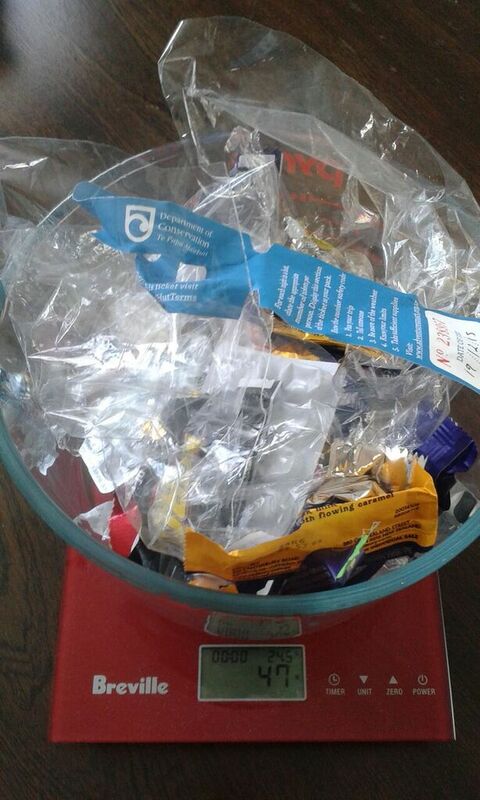 Update: I’ve since learned of the soft plastic recycling scheme, which means all those pesky chocolate wrappers can be recycled! I love the sign on your bin! My kitchen currently has separate bins/containers for compost, soft plastic recycling and rubbish, but unsupervised guests will invariably put things into the wrong bin.